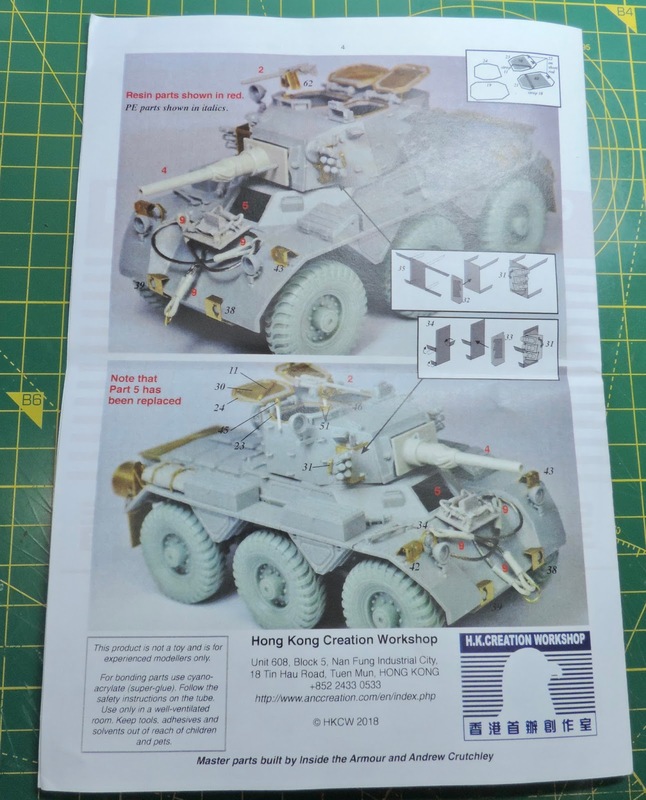 Here's a new item from HKCW via Scorpion Miniature Models for the Dragon Saladin. I bought this from Scorpion Miniatures for the princely sum of £13.50 which I thought was good value. 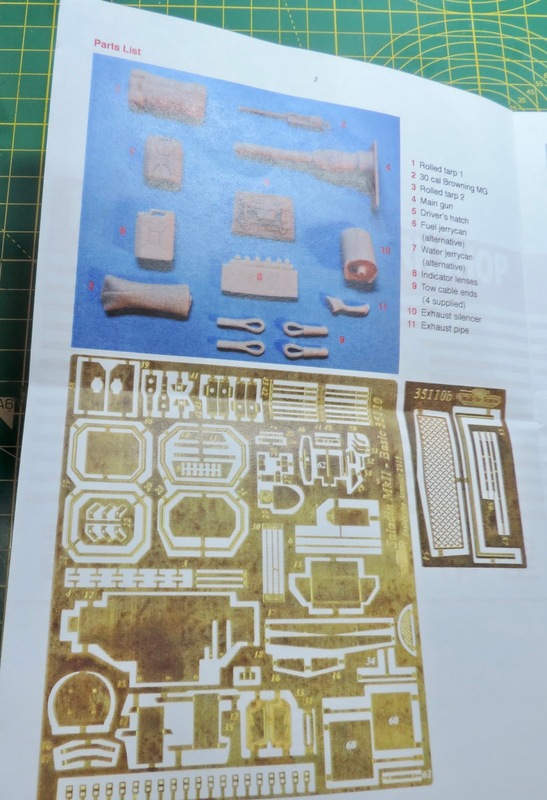 The set contains most if not all of the missing details which really should have been on the original dragon kit. You have 14 resin items and two very comprehensive etched frets as well as a very good assembly guide. The resin pieces include a new gun barrel with canvas cover, a .30 cal machine gun, new exhaust and new drivers hatch with internal detail. 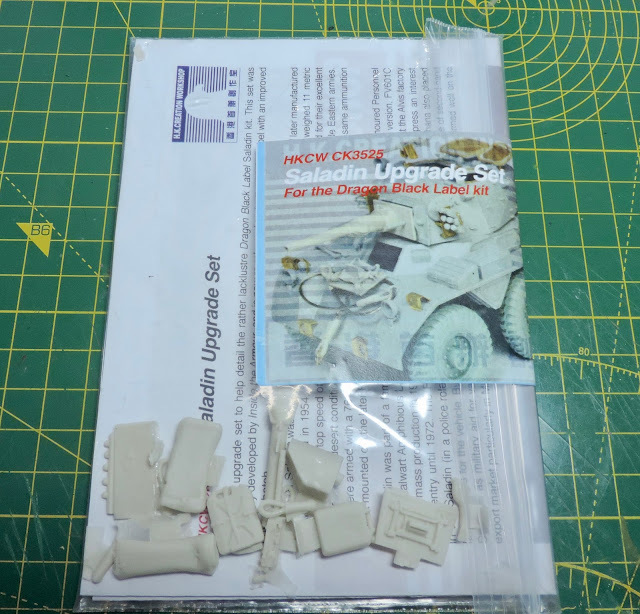 you also get tow rope ends, indicator lenses, probably best replaced with clear or coloured lenses, two water cans and two tarps. 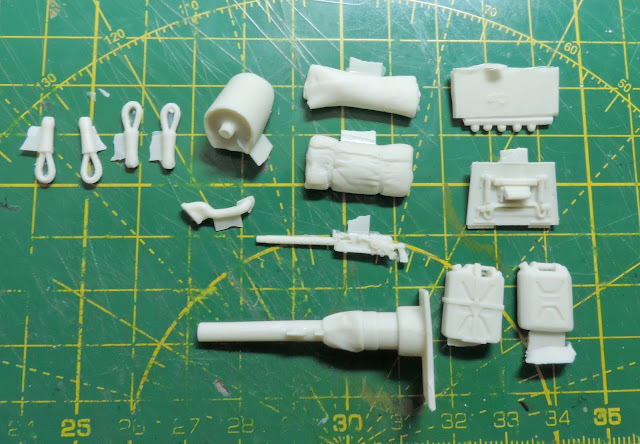 all are cast well and are straight replacements for the kit parts. 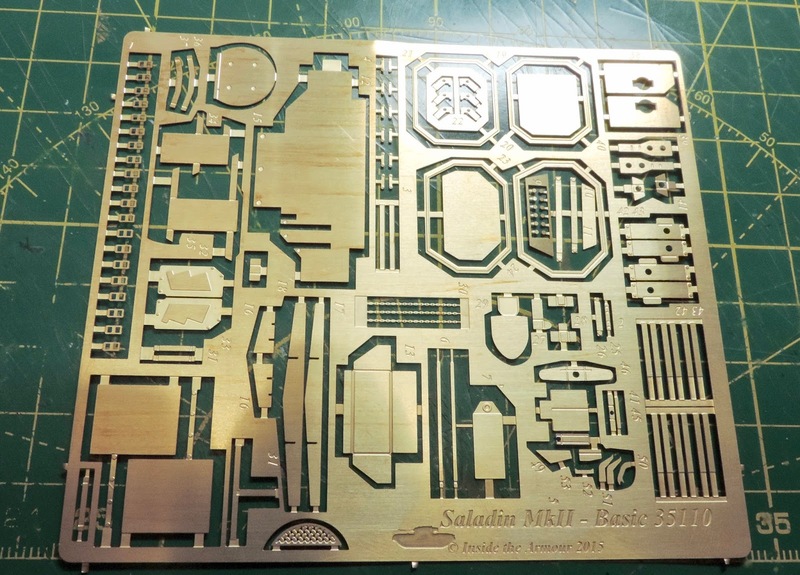 The etched parts are also very useful and include the missing turret hatch details and a host of other replacements. 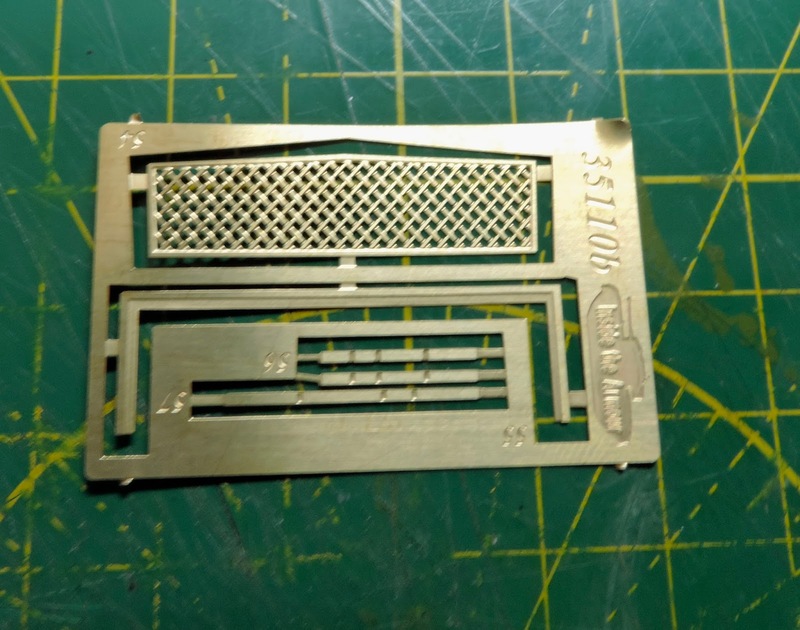 The rear air intake mesh is particularly well done with a woven mesh. Interestingly the etch is marked "inside the armour" and the instructions mention that this set was originally designed by them but never released. 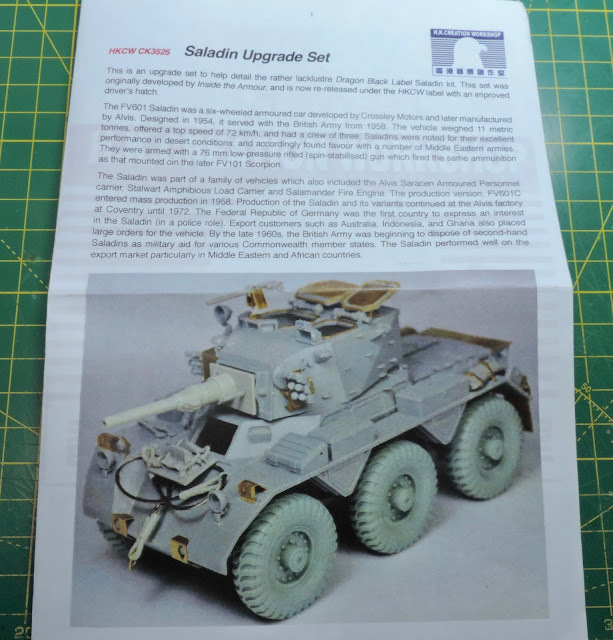 The instructions are clear with good pictures showing the parts placement on the model. Very good value and handy if you don't want to add the details from scratch. Pete. 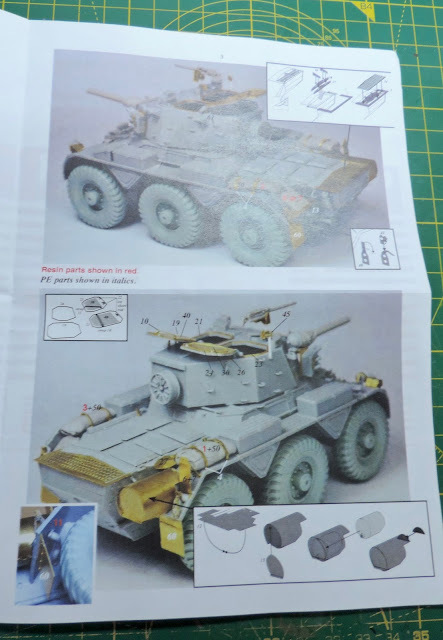 This set WAS originally released by Inside the Armour, but the rights were bought by HKCW. The only thing we changed was the driver's hatch. Thanks for that, as I said it's a great set and hopefully I'll be using it pretty soon.